Over the past few years GREY2K USA has researched dog racing abroad, looking for opportunities to collaborate with other animal protection groups in efforts to end this cruelty. In large part, this international effort has been led by board member Charmaine Settle. Charmaine supported our recent investigation of dog racing in the United Kingdom, and has also personally taken fact-finding trips to Macau and Vietnam. We learned a tremendous amount from these investigations. Charmaine just returned home from her most recent investigative trip, this time to Australia and New Zealand. 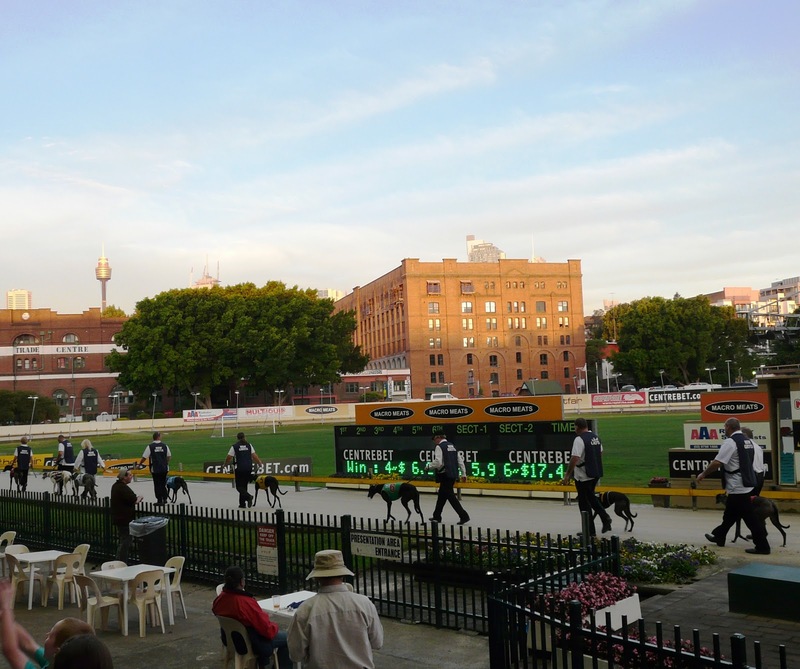 Today, there are more than eighty operational greyhound racetracks in Australia, along with seven dog tracks in New Zealand. 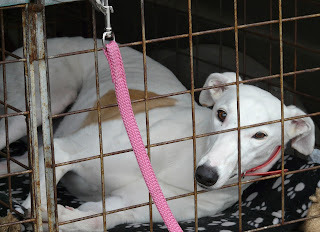 Thousands of greyhounds are bred for the racing industry, and breeders regularly export racing dogs to tracks in other countries including China's Canidrome, where all the dogs are killed when they stop racing. Thankfully, there is now hope that greyhounds Down Under may soon see better days. Charmaine started her trip in Tasmania with a visit to Anne Lloyd-Jones, Australian Director for the Animals Asia Foundation. She spoke with Anne about our continuing efforts to help greyhounds in both Australia and China, and our Rescue Brooklyn campaign. Anne has been an important ally in our effort to close the Canidrome racetrack in Macau. After visiting Tasmania, Charmaine went to Sydney where she met with greyhound adoption advocates Peter and Janet Flann, founders of Greyhound Rescue Australia. These advocates told Charmaine about some of the challenges Australian rescue groups face, including near-impossible standards that greyhounds must meet in order to be given a chance to be adopted. Coupled with that, no official records are kept for the dogs that are not deemed adoptable. These advocates also shared assertions regarding humane issues in the Australian racing industry, including the claim that the vast majority of greyhounds are killed when they are no longer profitable, and the claim that some veterinarians will euthanize greyhounds for a reduced fee and then sell their blood for profit. 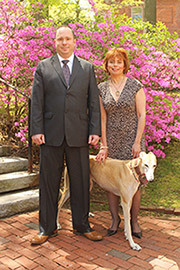 Charmaine heard similar claims by other greyhound advocates during her trip. While in Sydney, Charmaine also met with Animals Australia Senior Campaigner Jeroen van Kernebeek. 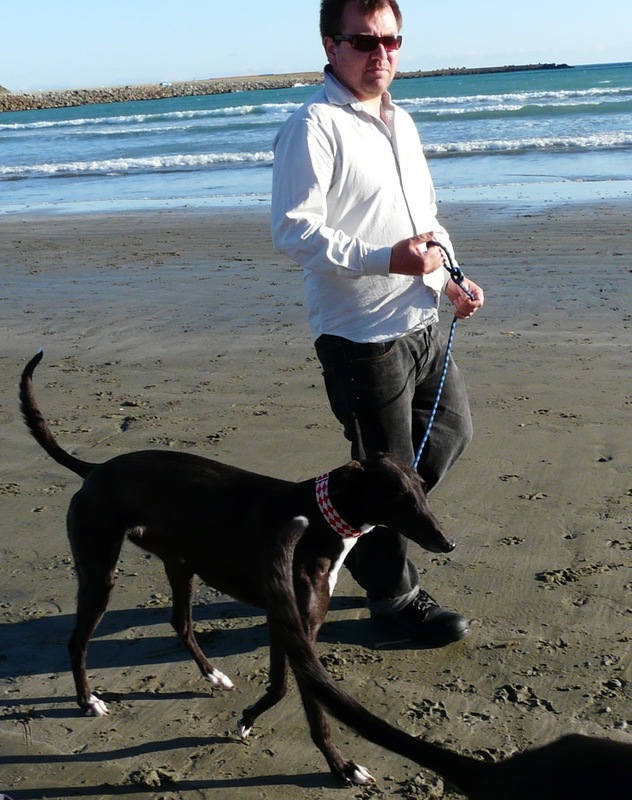 Jeroen has also been a key ally in our effort to stop the export of Australian greyhounds to the Canidrome in Macau. Together, Charmaine and Jeroen went to Wentworth Park to see races and speak to members of the Australian dog racing industry. Wentworth is considered a high grade track, and and sells itself as a social environment rather than as a gambling facility. Charmaine and Jeroen were given a tour of Wentworth by the track's marketing director, who provided them with statistics about the track's total handle and supposed economic impact. The track official was unable, however, to provide any data regarding the number of greyhounds adopted or euthanized. Charmaine noted that greyhound racing exists in Australia in large part due to the high volume of off-track betting facilities. Dog races are commonly broadcast at local restaurants, sports bars and pubs, and receive much more public exposure than they do in the United States. After departing Australia, Charmaine traveled to New Zealand where she met with greyhound advocate Lynn Charlton. Lynn told Charmaine about her experience working with investigative reporters at 60 Minutes to document problems at New Zealand dog tracks, including Manukau Stadium. 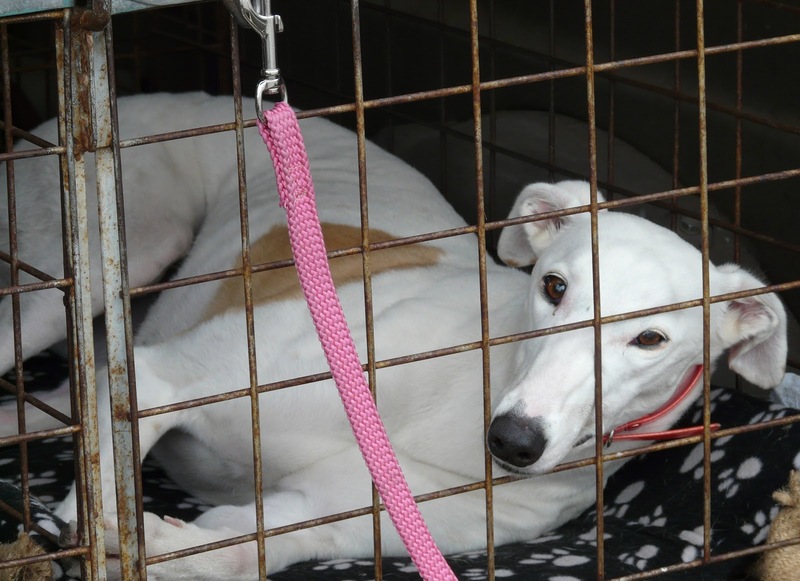 In a groundbreaking report, 60 Minutes recently found that hundreds of dogs are being injured each year at New Zealand tracks, and many greyhounds are being killed. "Why was there an air of extreme paranoia at the track? What are they trying to hide? What might I find out? These, I'm convinced, are questions the public will get answers to as more information is exposed on how greyhounds are exploited, suffer and die in New Zealand." Finally, before returning home Charmaine visited with greyhound advocate Aaron Cross of the Greyhound Protection League of New Zealand. Aaron has raised important questions about the large number of greyhounds that go unaccounted for, and was extensively interviewed in the recent 60 Minutes investigation. He also recently launched a petition for an independent inquiry into the New Zealand dog racing industry, an important effort that we fully support. Throughout her travels, Charmaine was encouraged by the greyhound advocacy community Down Under, which grows in strength with each passing day. Already, there are many committed people who are working hard to give the greyhounds a voice. As we look at the global dog racing industry, time and again we see this trend. Whether it's in Macau, New Zealand or Massachusetts, the rise of commercial dog racing inevitably leads to local opposition, and a grassroots movement to protect greyhounds.